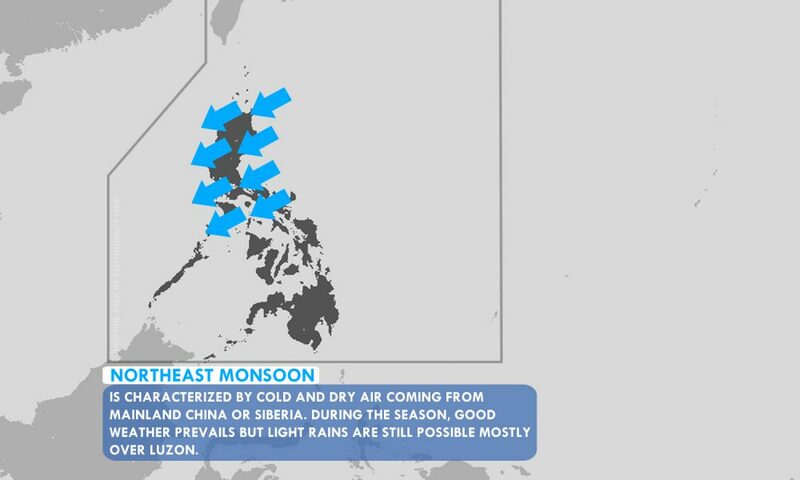 Northeast Monsoon affecting Luzon which brings cloudy skies with light rains over Cagayan Valley Region. 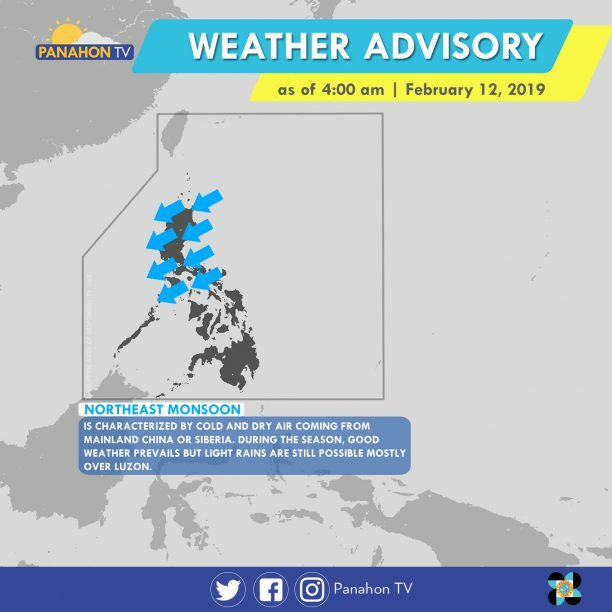 In Palawan, Visayas and Mindanao, partly cloudy to cloudy skies with isolated rain showers will be experienced due to Localized Thunderstorms. Meanwhile, in Metro Manila and the rest of Luzon, expect a partly cloudy skies with isolated light rains caused by Northeast Monsoon.